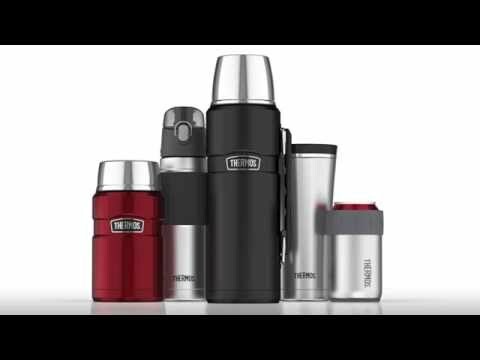 THERMOS® Stainless King series are premium class vacuum flasks and travel mugs with original design, manufactured from extremely durable and high quality materials. These vacuum flasks easily cope even with the most extreme environmental conditions and during long trips, skiing or winter fishing will provide you with hot food or drinks for maximum duration, 24 hours or even longer. Our award-winning vacuum technology TherMax™ eliminates temperature changes by creating vacuum space between two stainless steel walls, thus achieving optimal effect: thermos keeps hot or cold for maximum duration, without changing surface temperature. Special technology ensures high performance, while keeping hot or cold longer than other manufacturer's products. “Twist and Pour” stopper is very convenient for frequent use, which means that you don’t need to unscrew stopper completely to fill the cup, just slightly turn it and enjoy your favorite drink in seconds. This series is the most reliable, leader of many tests and no. 1 choice for professional athletes and lovers of extreme sports. Midnight Blue colour is the latest addition of Stainless King collection. Also this is the best selling collection in the world. 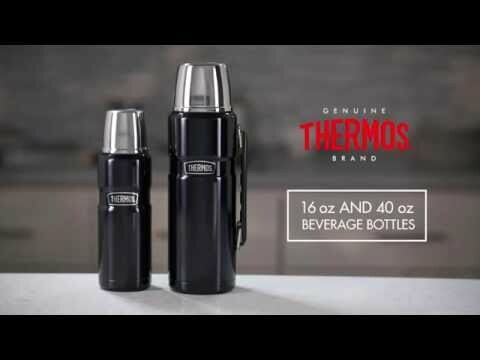 Thermos® has had the hottest and the coolest products since 1904. Their technological advancements and new product developments have made Thermos® the industry leader for nearly a century.